Formed in 1981, this instrumental band from Japan who delivers a symphonic / melodic music, highly influenced by CAMEL, but some fusion passages can be found as well. 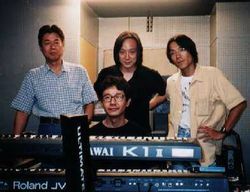 The band included Taiqui Tomiie , Toshihiro Tanaka and Mitsutaka Kaki who served time on the prog band Ain Soph. the keyboardist Mitsutaka Kaki is trying to keep the band alive currently, playing shows mainly, but as he states, this is a side occupation of the band members who are all doing this along their day jobs. Their CD "Firefly" is an excellent piece of symphonic prog. The music sometimes sounds like CAMEL or AIN SOPH and KENSO because of its delicate and highly elaborated symphonism with a touch of virtuoso and elegant jazz-rock. Delphi contains unreleased tracks and some live recordings. Sell your BELLAPHON items on eBay ! Clearly inpired by the music of the British band CAMEL, "Firefly" from Japanese band BELLAPHON shows an unusual prog rock for the most of bands from that country, like TERU'S SYMPHONY (whit his heavy and more theatrical style) or KENSO ( and their fantastic and full of virtuosity Jazz-Prog) for mention some of most famous. The album is totally instrumental, and the melody is very mellow. In some moments they incorporated some jazz elements in Jean-Luc Ponty and moods or something like that and some Symphonic "atmospheres" ( a very good example from this affirmations as in track 5 " Vent Du Midi" ). The track 6 " Evros" show a few heavy moments. In spite this variations the music is very close to CAMEL and the album don't reserve so much surprises. Due this considerations my rate is only 3 stars !!! This album is made of unreleased tracks and a live one. For the ones who have listened to their "Firefly" album, I would say that this one is less interesting except during the longest number ("Fragments of Biotape Suite ? Firefly") which combines aerial and symphonic keyboards with wild electric guitar. This was much the case in their debut; and at times I could compare the guitar sounds with the ones from Carlos Santana. The third track "No Guarded City" is fully jazz oriented, with here again some crazy guitar. Still, the whole sounds loose and more of an improvisation (it was recorded live). Not my cup of tea as you might know. Symphonic instrumental lovers will probably appreciate this work: keyboards especially are well played and some "Genesis" relation can be felt while "Overture - La Nouva?" is being played. Even if the drum solo was probably not necessary. I think that this album doesn't make a lot of sense. Some lost "jewels" that could have remained in the drawer as far as I'm concerned. It is better to stick with their first album (which I rated with four stars). This one can hardly compete (as it is often the case with such releases). Five out of ten, but rounded down to two stars. Truly symphonic and amazingly complex, this Japanese band is quite interesting. Of course, you have to appreciate instrumental music but this is not a problem since the tracks performed here are quite well structured and nicely played. Some sort of "Camel" but more intricate even if "Le Petit Prince" is totally faithful to their model. Most of the songs have a French title which is quite surprising. "Mistral" is the name of a wind which blows in the Mediterranean (from inland towards the sea, which has the result of cooling the water substantially). I don't see any relation though with the musical theme offered here. 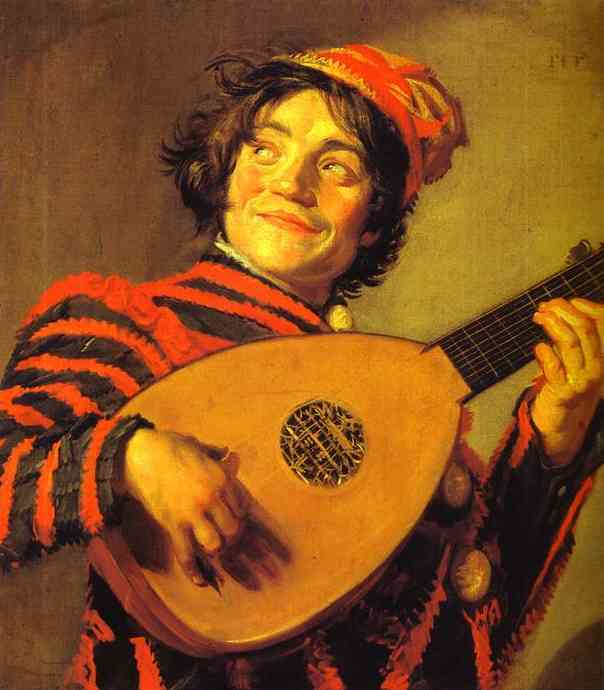 Technically up to date, the musicians are quite skilled. Guitar is particularly crafted but not only. One can discover the subtle piano during the short interlude called "Belle De Jour". It is full of tact and almost classical. Again, the guitar is splendid and fully reminiscent of the great old Carlos (Santana of course) during the poetic and brilliant "Vent Du Midi" which is the highlight IMHHO. The whole of this album is a pleasant experience. At no moment did I feel weaknesses neither in the music played nor boredom to listen to it. "Santana" fans should really listen to this works. The genuine sound of the master during his peaks is wonderfully rendered here. The closing number and title track is truly transporting you some forty years behind (I mean 1970) and the first album of this great band (Santana, I mean). Superb and powerful organ work. As if Greg was there to hold the role? Now, comes the rating? As a global experience, I would rate this work with seven out of ten. It is maybe due to the fact that this fully instrumental work lacks in substance at times. Anyway: this is a good album and it deserves your attention. Let's upgrade it to four stars. I really wonder why this band was switched from symph to neo though. If you can survive to the title track that seems the intro to a police b-movie of the 70s, you'll discover a Camel clone band. What's good in a clone? The fact that there are no many Camel clones around the world, the fact that the keyboardist is as skilled as Pete Bardens and, last but not least, the songwriting is excellent. The first track is partially saved by a good guitar riff close to the song's end, but the track is quite boring. Survive to it. Everything changes with "Fragments Of Biotope Suite-Firefly". It's a long track that starts with winds and subtle keyboard. Very similar to "Lunar Sea". Since now the whole album appears to be inspired to Moonmadness. Unfortunately the quality of the production is very low since now to above, but if you love Camel of the period of "A Live Record" this album can give you the same sensations. The bass seems played by Doug Ferguson and the melodic line is based on an ascending sequence that's very typical of that Camel's era. After 5 minutes we are back to "Snow goose" and this is how the song proceeds. Well, it's like listening to a Camel's forgotten album and this is how it sould be listened to. Suspend your judgement about a band that doesn't produce anything original and listen just to the music. This is how this band can be appreciated. "No Guarded City" looks at the jazzy side of Camel (Liggin' at louis or the central section of the already mentioned Lunar Sea as reference). "Overture-La :Nuova Citta: Di Atlantis" (why the Italian title? who knows?) is the worst recording in terms of sound quality. It seems more a studio reharsal recored on a 4-track. It's a pity because the song isn't that bad, but the sound quality makes it irritating. "La Villette" is one of the best moments of the whole album even if just 3 minutes long. An odd tempo for the less Camel inspired track. It's still very Canterbury but it could be any other Canterbury band. Only the guitar tries to sound like Latimer. The album is closed by "Villa dei MisterI" (another Italian title). Again the production is very poor. It would have been a very good track. The fact that this album has been released many years after the recording says everything. Somebody in the label has found some tapes of this band and has tried to make some "money for nothing". Without the problems with the sound quality I could have rated this at least 3 stars, but the production is part of the product so I suggest it only to hard Camel fans who are addicted to this kind of music (like I am). Released in 1995, many many years after the band's demise, "Delphi" is a rough, unpolished exhibition of the exquisite melodic approach to symphonic prog that Bellaphon so gracefully incarnated in the enthusiastic progressive scene that developed in Japan during the early 80s. It is a pity that this album's sound quality is so inconsistent and irregular, since you can notice that the playing is competent, the ensemble's sound is fluidly organic and the compositional ideas are tight. No way that you can appreciate it properly in thoese moments in which the sound gets really poor. I have to disagree with others' ratings for this album that go under the 3 star grade, but I can fairly see their point when they feel disappointed at this album's sound: I am too, but mostly, I intend to review this album on the music alone. 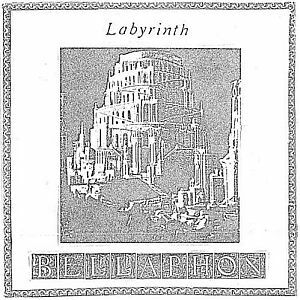 Bellaphon was consistently inspired by two Camels, the one with Sinclair and the one with Watkins (the 77-81 era), as well as some elements of melodic jazz-fusion that emerge in places (something like a "symphonized" Corea, so to speak). The namesake track opens up the album with eerie, romantic moods, mainly based on the lovely synth orchestrations that carry the burden of the track's melodic scheme - their chamber orientation makes the whole instrumentation cry "symphonic!!" from the deepest corners of its "sonic lungs". Track 2 bears a more ambitious structure concernign composition and arrangements, with a noticeably dramatic effect in the motif and tempo shifts: the crystal clear cohesion that goes through the varying sections reveals quite clearly (despite the sound flaws) that the band's a tight unit, a dream come true for prog fans that saw their classic idols fade away in teh 80s one way or another in teh European market. The 14 minute span has been taken advantage of pretty well by all musicians involved. Track 4 is also an extended composition, although this time the sense of cohesion is not as well accomplished as in track 2, but all in all, it still has the merit of retaining Bellaphon's penchant for clean melodic structures and polished developments of them. Between these two epics, 'No Guarded City' happens to be one of the catchiest tracks in the album: it encapsulates a solid, evolving mixture of "Rain dances"-Camel and an inspired sort of standard neo-prog. 'La Villete' is a jazzier venture, and it is so well accomplished that its suration of less than 4 minutes feels terribly short: the main body got an efective melodic hook that, in case teh band decided to enhance it in an exploding climax, might have been mistaken as a Kenso piece. Well, things are as they are and this is all we can get from this track, which is quite good anyway. 'Villa dei Misteri' is the track that completes this album's repertoire, a tremendously colorful track that undeniably shows a joyful spirit - its musical brightness comes at odds with the irregular sound production. I think that "Delphi" is not a record in the truest sense of the word, but a testimony of the efforts that Bellaphon made to preserve the progressive flame in their country: they were talented, so they do not deserve to be forgotten at all. I give this album 3.75 stars, which is almost 4. Bellaphon from Kyoto (japan) formed in 1981 - this totaly unnoticed neo prog band from late '80's did a great job here with this first album from their career. They play in vein of Camel, Deyss but with their own twist, all album is instrumental dominated by keboards of Mitsutaka Kaki. Very pleasent this album from 1987 named Firefly. Lots of great guitar chops, great key passages not far from Camel very well puted together by Toshihiro Tanaka who really knows how to interplay with the rest of the musicians and create something worthy investigate. The best piest is - Vent Du Midi - near 11 minutes of the highest class neo prog cobines with symphonic prog and even some jazzy elements addd here and there, the rest of the pieces are great aswell. I wonder why they are so unknown to prog circles this japanese, this is really a great album who desearve a wider recognition. So a good album who desearves fro me 3 stars easely, well not a masterpiece but a good and catchy album all the way. Is quite hard to find this album, but if you do, give it a try, you will not be deseppointed for sure. 80's...Harsh time for progressive rock,but not in Japan...Around 1981 another great band was formed in Kyoto,BELLAPHON.Centered around keyboardist's Mitsutaka Kaki work,the band developed through time a synth-based symphonic prog style,that ended up as an all instrumental project.BELLAPHON mainly worked as a guitar/keyboards/drums trio,although for their first release they were helped by AIN SOPH's bassist Masahiro Torikagi. 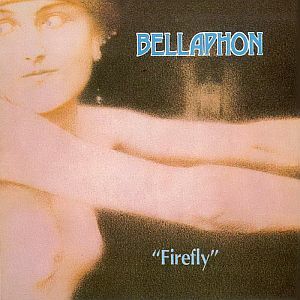 ''Firefly'' was released in 1987 and it's just another lost gem coming from Japan.Obviously influenced by the sound of CAMEL,BELLAPHON deliver an excellent symphonic rock album with fusion doses added here and there.Unlike energetic,powerful bands like Finch or Crucis,BELLAPHON had chosen to base their sound on grandiose keyboards,melodic ANDY LATIMER-like guitar solos,mid-tempos and carefully-arranged fusion interplays (in the vein of Japanese bands like AIN SOPH or KENSO),without being excessive.The keyboard/piano work of Kaki is the definition of a symph rock seminar!So,if you like emotional,keyboard-based melodic prog in the vein of CAMEL with a touch of fusion,then you have to go for it!A masterful underrated prog rock treasure! Wow! What a marvelous instrumental record! I heard a lot about this band but I didn't have the opportunity to listen to Firefly until very recently. A friend told me they sound a lot like Camel, with some jazz and fusion thrown in for good mesure. As a big fan of Camel, I had to hear this. So I finally could get a hold of a copy of this classic exemple of the Japanese symphonic rock of the 80's. I was really curious. I have to admit their music didn't strike me at first. The first tracks sounded too jazz rock for my taste. Ok, they do reminded me of some Camel's more jazzy moments like Lunar Sea and parts of Breathless. After repeated listenings however, I was able to grasp their intricated structures and great melodies. 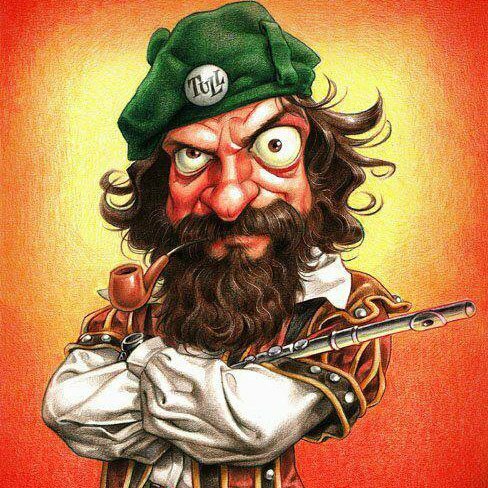 As only the finest prog records can do, the music grows on each listening until you became addicted to it. 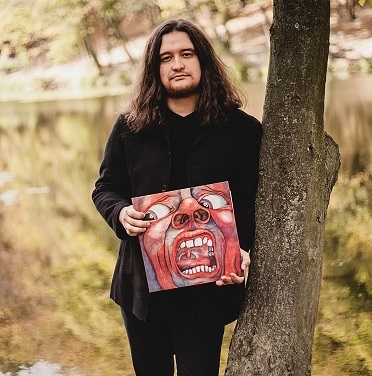 But the last three songs, Evros, Firefly and the bonus track Labyrinth proved to be masterpieces on the first listening: fantastic melodic journey with an incredible Latimer/Gilmour styled guitars, tasteful keyboards and a creative rhythm section. Man, those 3 tracks were worth the price of the CD! Those emotional guitar solos gave me shivers down the spine when I listened to them. It's pure joy! Production is excellent too, with a very balanced and clear sound that enhances each instrument at the right time. And I must say those guys were very inspired by Camel, but really have developed their own style and sometimes even surpassed their masters (lsiten to the title track and see what I mean!). It is only a pity they didn't release a folow up until so many years after this one (and it seemes it was not as good, but since I didn't lsiten to it I can't really tell). But Firefly stands as one of the best prog produced in the 80's. It is a masterpiece of prog music, even if it is not that original. But, after all, who is? 5 stars with honors. Simply essential for any prog music lover. Strange record. It reminds me Mr Sirius 'Incridible Tour' CD. 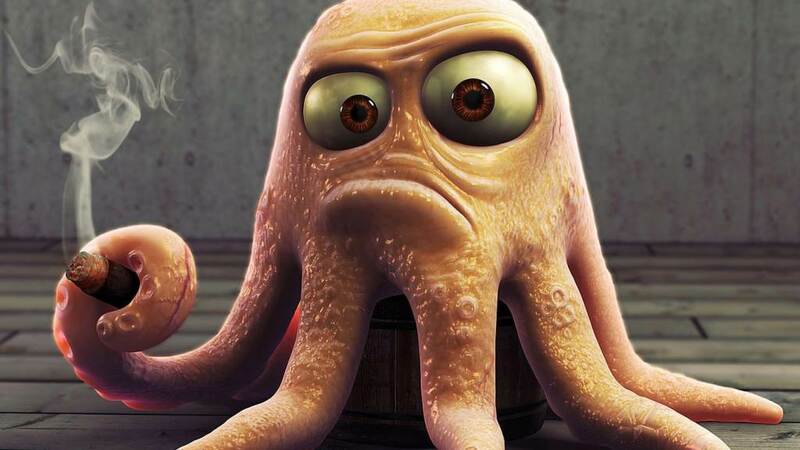 Good instrumental music but very bad quality sounding, so you can't really enjoy it. This are mainly various live recordings between 1982 and 1986. As said in the previous review, the highlight is the longest track of the album but what is not credited is that some parts of the track are actually cover from Ain Soph's Story from a mysterious forest which is by far better (I recommend it for all Camel lovers). Musically it's very good - CAMEL, CAMEL all the way, and this release is mostly for those who always tend to see more jazzy/even Canterburish side of CAMEL's music. The highlight is 14-minutes long "Fragments Of Biotope Suite-Firefly", but other tracks like title opener and strange "Villa Dei Misteri" must be mentioned as well. The main flaw of the record is quality - hardly bearable, some tracks are taken from tapes without any mastering I guess,one track is recorded from live show and it proves the musical gift of this obscured but recommended band.If you're not afraid of low quality and love CAMEL, you must get this one immediately! Recommended!